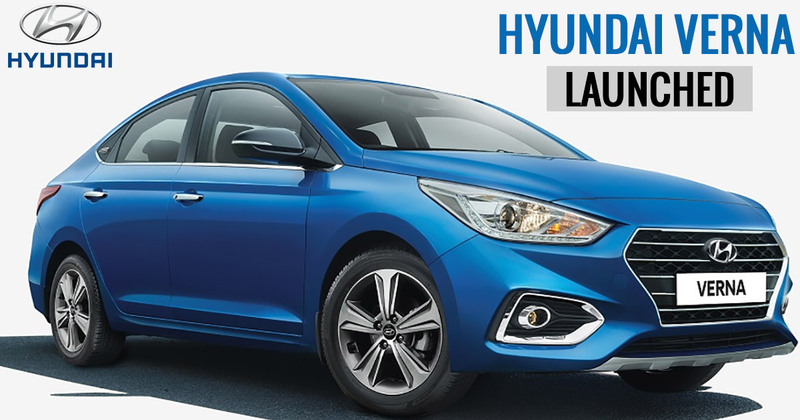 On the eve of its 20th Anniversary in India, Hyundai has introduces the anniversary edition of the premium Verna and it is nothing less than spectacular. The new editions come in two color options, the most striking between the two being the sky blue shade. The top spec trims will get a full black interior with auto cooled front seats. The X factor this time besides the Verna brand is the sunroof to add a pinch of mischief to your night drives. Other than the cosmetic updates,the new variants will also come equipped with all-new faux brushed aluminum skid plates (front and rear), wireless charging option, black wing mirrors and a rear spoiler. All in all the old and the new premium specs catalogue seem to do complete justice to the premium price tag. Part of the anniversary edition package is Rs 20,000 exchange benefit with free third party insurance. While Hyundai is still tight lipped on the price tag but expect the anniversary edition variants to get costlier by anything around Rs 35,000. However, Hyundai does make up for this with a host of freebies and offers. The variants on both the color options are expected to carry the same 1.6-litre petrol and a 1.4-litre or a 1.6-litre diesel engine. Its immediate rivals include the likes of Maruti Suzuki Ciaz facelift and Honda City.